Luxury car transport is not the same as exotic car transport. Some luxury cars should be shipped enclosed carrier and some can be transported in open-air trailers. However, almost all exotic cars should be shipped in enclosed trailers, and there is the difference. What Is Luxury Car Transport? Luxury cars run the gamut from midsize sedans like the Cadillac ATS ($39,000 MSRP) to full size sedans such as the Aston Martin Rapide ($245,000 MSRP). That is quite a spread when it comes to luxury automobiles. 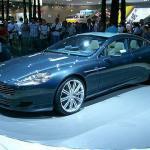 The Aston Martin Rapide and others like it, should certainly be shipped enclosed transport. They are too valuable to take chances with the possibility of road rocks or hail on an open trailer. 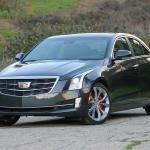 But is it really necessary to ship the so-called luxury Cadillac ATS and vehicles like it in enclosed trailers? We don’t think so. Luxury auto transport should be reserved for much more expensive vehicles. That is typically the case and the demarcation of traditional luxury car transportation services. Who Decides What Is A Luxury Car? At the bottom rung of luxury cars, it is totally subjective as to what vehicles make the cut. Just because a vehicle is a Mercedes-Benz, does that make it a luxury vehicle? Do you really want to call the Mercedes-Benz Smart Car a luxury vehicle? Of course not. Nor the wee C250 or C300. They are nice. But luxury? C’mon man! Do you think of Hyundai and think luxury? Not really. Actually not at all, right? But the Hyundai Genesis is very plush and feels luxurious. So that maker can make a serious claim that they too can produce a luxury car. There are no hard and fast rules regarding what is and what is not a luxury vehicle. You know it when you see it. And like all beauty, it is in the eye of the beholder. Direct Express Auto Transport would like to offer four tips with examples on which so-called luxury makes and models should be shipped open carrier; possibly enclosed carrier; probably enclosed trailer; and finally definitely enclosed transport. Here they are starting at the bottom of the luxury car market. Luxury car owners with Kelley Blue Book (KBB) values of less than $50,000 should probably ship their vehicles in an open-air carrier. It costs about 40-60% less than enclosed high end auto transport. Open carrier shipping is statistically very safe. Your vehicle will arrive probably dirty but otherwise in the same physical condition as it left. It is rare for us to see a vehicle with a KBB value of less than $50,000 shipping enclosed trailer. So you should save the money on luxury auto transport. According to goodcarbadcar, included here are the top twenty selling luxury vehicles in the United States plus a few more popular luxury models, some very pricey. As one of the best luxury car transport companies in America, Direct Express Auto Transport suggests on each one whether to ship open-air carrier or enclosed transport? As you can see from this list, there are many very popular so-called luxury cars and SUV’s that are priced less than $50,000 and really should have no problem shipping open transport. Some of these we would simply call very nice vehicles, but if you want to say they are luxury cars, then we won’t argue. Regardless, you should ship open. It is in the range of $50,000 to $74,000 that an auto shipping customer should weigh whether to use enclosed transport services rather than open carrier. We think you should ship enclosed just to be on the safe side, but there is a fair percentage of people who still opt for open-air shipping. The closer you get to $75,000, the more likely you should lean toward shipping enclosed carrier. The open transport drivers start to shy away from committing to vehicles around $75,000 because of liability concerns. The carrier will likely grab a Honda Accord or Toyota Camry before he would an Audi A6 or BMW Series 5, because the car shipping fee is nearly the same. The Accord and Camry carry less risk, and therefore, ship faster. Another reason at this level to ship enclosed transport. Seriously folks, if you have a vehicle valued at between $75,000 to $99,000, why wouldn’t you spend 50% extra to protect your investment? Don’t be cheap with something so dear. Besides, for the reasons enumerated in the previous tip number 2, it is unlikely an open carrier driver will want to go anywhere near a pricey vehicle such as these. You are better off with enclosed luxury car transport. Any luxury vehicle valued at $100,000 must ship enclosed transport. Nobody other than a highly skilled luxury car transporter should ever touch one of these vehicles. Open carrier is out of the question. They wouldn’t go near it anyway.